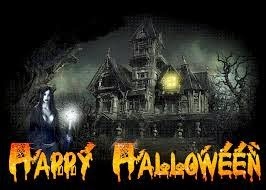 Today is a Boo-tastic Day here in America otherwise known as Halloween, or All Hallows Eve. Samhain is another moniker. It is a day when the veil between the world of the living and of the dead is gossamer thin. It is a day when all things improbable are given some semblance of credibility and our imaginations are allowed to take flight. With this in mind, how do we account for those among us that live and breath this life and energy every day? You know who I’m talking about — our favorite writers of horror and of the macabre. We don’t know what drives many writers of horror to pen the words that they do but on days like today we appreciate that they write down the scary things. It helps us shiver as we imbibe orange-tinged alcoholic drinks while preening in our costumes. Fellow blogger, Tim Janson, wrote an article listing the 20 top horror writers and I agree with his list! The funny part is Stephen King is not in the spot I thought he would be. Check out Tim’s list here. Tim talks about the horror genre having no set ‘start’ period and that its highest award The Bram Stoker Award (only around since 1987) is not a true starting point. However, this award does share new and emerging talent with us. One of my favorite new horror writers is Kealan Patrick Burke author of the Timmy Quinn series. Talk about scary!! His novella The Turtle Boy won the Bram Stoker Award in 2004. While the Timmy Quinn series scared the pants off me I couldn’t stop reading it! The language was beautifully evocative and haunting. The air of suspense and the foreboding written into the white spaces between each letter and word flowed off the Kindle screen straight into my veins. After reading this series, I was emboldened to combine my love of all things sci fi, fantasy, horror, suspense, thriller and paranormal. These are the genres and sub-genres that I love. I penned my own novel which has horrific moments but is truly a — (get this) paranormal horror thriller. In writing this over 85K word opus, these are some things I’ve found out about writing things that will scare &/or thrill readers. Enjoy the scene. Don’t draw it out for no reason but allow it to expand naturally and go on to the next thing only when it is time. Create tension first within your main (POV) character. Use words that jolt the mind, heart and imagination. Take tips from literary writers and evoke lasting images that keep the reader coming back for more. Never say never. One of my characters was supposed to die. In my mind, the character died. In the book, the character stuck its tongue out at me and re-appeared many chapters later. Put your character’s back against the wall. This is a must for all fiction (and good writing). If the challenge is flimsy who will want to read it? 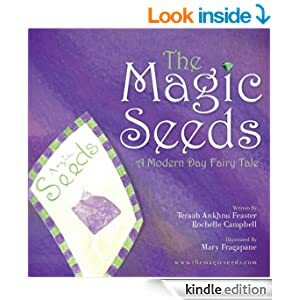 Make it believably difficult for your character and imagine a solution that could actually work without having a magician come in and save them. Get feedback from your writing group or peers. Here is terribleminds blogger, Chuck Wendig’s list of 25 Things You Should Know About Writing Horror. I will leave you with a small horrific excerpt of my new novel. Feel free to leave comments below. I love speaking with you guys! Oh, and have a Happy Ghostly Halloween! The buzzing was bothering her. She sat up and looked around. She was in a nondescript room. It had no personality. There was the bed she was on, two plain night tables with lamps on them – both of them were off. There was a dresser with a bevel edged mirror on it and a TV on a simple black stand. The curtains were the tan elegant floral pattern seen in cheap motels and the carpet looked threadbare in spots. The only chair in the room had a rip in it with some of the fluff sticking out of the seat. The buzzing was coming from the bathroom. Jennifer got up and went to investigate. She looked down and saw she was fully dressed in her gabardine pants and sparkly top. Her feet were clad in the funky boots but they made not one sound on the worn carpet. She peered into the bathroom that was brightly lit and saw a vision she would not soon forget. She saw a tall man, a little over six feet, with dark blonde hair and a solid build. He was shaving – the source of the buzzing – but he was shaving his skin off. It was coming off in narrow sheets of skin as thinly sliced as good prosciutto. Where his eyes should have been were empty sockets with blood seeping out. His fingers were almost perfectly clean against his sightless dead body but his movement belied what her brain knew to be the truth. Too horrified to scream and too dumbfounded to move Jennifer watched as the man turned towards her. He waved with a ghost of a smile playing around his lips. “I’ll be right in. I just wanted to freshen up for you,” he said in a refined modulated tone. Jennifer woke up screaming,clutching her face and stomach alternately remembering the abomination of his cavernous eye sockets still vivid in her mind’s eye. This year will be my second year of doing NaNoWriMo. I live on the East Coast and last year at the start of NaNoWriMo I had Hurricane Sandy to thank for a tumultuous start to this annual writing event. The fear that the electricity would give out, that we would be flooded out, or a host of other concerns plagued me but I forged on. I was able to complete the challenge and put 51,107 words down in the 30 days. However, this year I am wondering if I can repeat the success. Why? Because I have been blessed and have a beautiful 3-month old daughter in my life this November. With work (out of the home), late night feedings, my daughter confusing night for day and day for night, grogginess from sleep deprivation and a pervasive feeling of being overwhelmed I am a bit apprehensive about committing to NaNo 2013. By saying ‘no’ to taking up this challenge, I am saying ‘no’ to that thing that feels like oxygen to my lungs. I’d prefer not to asphyxiate before Thanksgiving. I may give myself a break and not dive into book 2 of the work I just finished editing and perfecting. That would be suicide trying to put down1600 words on that since I am ‘coming down’ from the high of writing/revising/editing that work. I also want to allow myself to appreciate that work fully before delving into its sequel. I may work on a totally different project this year one that does not have a tight deadline so I am not required to finish it within a certain time frame. As a new mother, I have to be kind to myself while still being true to myself. I think I will focus on laying down the foundation for a book of short stories which is a project that I’ve wanted to do forever! I love the short story form. Hemingway’s Hills Like White Elephants (1927) is my all-time favorite short story. I read it originally in HS and the story has stayed with me all these years. The story is driven by dialog with very little prose. The subject matter is not clearly stated and must be inferred – delicious! Writing short stories for NaNoWriMo will be refreshing, engaging and challenging. Writing short is tough. Writing well and short is an art. That is how I will challenge myself during NaNo this year. The goal will be to write 10 short stories of 5,000 words each. I will decide on a theme in the next few days. 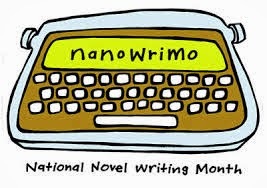 Since the goal of NaNo is to write the 1st word on November 1st none of the short stories I have currently in progress can be used. (DARN!@@!) More challenge! LOL. For those of you who are doing the true to the letter NaNo, here are some great articles about getting ready for this awesome writing challenge. Here’s to wishing you success in being one of 14% that successfully finish NaNoWriMo this year! Hi everyone! We’re here to continue the conversation of how to publicize and market your self-published as shared at the Brooklyn Book Festival (#WormsUnite) on Sunday, September 22nd. If you missed part 1 click here to read what you missed then read on! This is part 2 of the workshop and it was shared by Rich Kelley. Rich had it rough because Bridget and Sarah shared quite a bit of very good actionable information for writers and authors to publicize their work. However, Rich started off strong. You are probably well versed in Hugh’s success. He was approached by traditional publishers to publish his work. He told them no, he was having too much fun with his readers! He was directly interacting with them. Hugh did not want anything to interfere with his connection to his readers. So, he was re-approached and the publisher wanted only to have print rights to publish the Wool series. Hugh agreed and history was made. Hugh retains all the rights to his work and the publisher only has print rights. Amazing, right? Writer’s Digest did a feature article in May of this year on Hugh’s story. Read it here. When I checked out Book Country what surprised me most was that after writers workshoped their books there are options for publishing it with Penguin. The Owned market are the things you have control over such as your blog page, your friends, your Amazon Author Central (make sure there’s a picture there! ), your website, etc. The Paid market are those things you pay for such as advertisements, blog tours, etc. The Earned market are those things that you earn through your work such as getting a starred reviewer to give you a book review, on Amazon, someone reading your book and sharing it with others, or someone has discovered your book and wants to review it without you directly intervening. Similar to Sarah, Rich shared that identifying your audience is key. “What do you have access to? What’s your platform?” Rich says that by answering these questions you will be able to reach your target audience. Communicating with people, especially your readers, is very important!! Become a trusted source to your followers. You can do this by garnering speaking engagements at writers’ groups. And there you have it! Even though this workshop was only a little over 45 minutes in length the information shared was quite powerful. By focusing on one aspect of this great advice each day (or week! ), an author can see their book’s exposure increase greatly over the next few months. I hope you enjoyed these tips and advice as I did. Please feel free to comment and share tips of your own below so that we all can benefit from our collective wealth of information. Please Note: If you missed part 1 of this workshop, you can find it here. Today, we are doing a cover reveal for author Sidney Moore whose book releases tomorrow, Friday, October 18th. Sidney came to my attention via Twitter (only my favorite social media outlet) where we was a brand newbie with less than 150 followers. 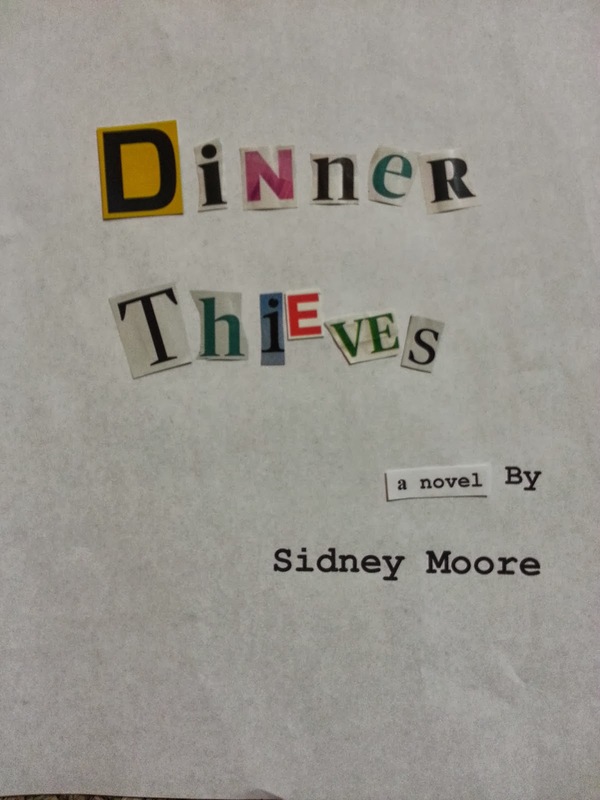 Since I believe in the pay it forward concept, without further ado, please read on to find out more about Sidney Moore and his new book Dinner Thieves. Dinner Thieves, the first in “The Forlorn Hope” series, takes you on a high speed race through the streets of Portsmouth and Norfolk, VA during the height of the drug wars that devastated the area. Follow Malik as he tries to balance being a son, a student, and a survivalist as he goes against all odds to make it out of his hellish surroundings and forge a better life for his mother, his friends, and himself. NB: Tell us about yourself. 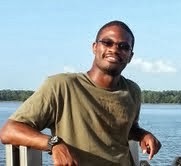 SM: Well, my name is Sidney Moore, and I’m a novelist by nature who happens to be a freelance writer to pay the bills. I have done a lot of journalism for The Tidewater News (newspaper) and Western Tidewater Living (magazine). I am on the verge of 30, actually next month. Hooray for me! I’m from Portsmouth, VA and have been some of everywhere in the world in regards to traveling. I love live music, indie films, running, and good whiskey. NB: How, if at all, has your upbringing influenced your writing? SM: I was raised in a household that had a lot going on and much of nothing at the same time, but my mother was always a big reader. She pushed that on me heavy. Then being where I’m from, Portsmouth, VA, and being so interested in what was going on, which was crime, it shaped my writing heavily. It created the underworld understanding that my characters convey to the reader. Instead of reading what they did the reader has the opportunity to learn why they did it. NB: How long have you been writing? SM: I’ve been pushing the pen since grade school, but actually pursuing it as a craft that began in 10thgrade. I have to credit my English teacher, Ms. McGhee for convincing to take her creative writing class. I guess she saw what I didn’t at the time. I took a break from writing literature for a few years and got back into it about 7 years ago. NB: How much of the book is based on real events? SM: A lot of it is. In 1995 Portsmouth, VA was labeled the “Heroin Capital of the East Coast” by the DEA, and it was 5th in the country for homicides. I’m a preteen watching all of this unfold in front of my eyes. Though the book is fiction, the events are some of the kind that was taking place during that time period. It was a real dog eat dog life then. My mom didn’t even like me leaving my side of the neighborhood then. Guess I didn’t listen. Lol. NB: How important do you think villains are in a story? SM: Very very very very important. In order for a story to grasp a person there has to be some element of struggle between the protagonist and the antagonist. Whether it’s internal or external, man versus man, man versus element, or man versus himself, it has to be there. If not, it’ll make for a very boring read. Besides, who wants to read about everything going right in a story? Not me. NB: How do you deal with rejection letters? SM: I look at it like this. First of all, you should make sure you know what you’re doing and have prepared things properly before submitting. Then you have to understand that rejections letters are based upon a person’s opinion. The way I feel about opinions is this, opinions are like buttholes, everyone has one and sometimes they stink. Just keep pushing the pen. NB: What are your current writing projects now? SM: I’m getting Crystal Kings together for print. It’s about a few military vets that returned from the war and had nothing going for them and these guys who are looking for the easy come up after taking a couple of losses. So after a few white-collar crimes the vets decide to get into the crystal meth market. When they get robbed for a heavy load and some money, they leave a sea of bodies in their wake as they track down the drugs, money, and the people responsible. NB: Do you have any advice for other writers? SM: Just write. That’s the easiest thing to do that leads to better things. Write down your ideas, thoughts, and what you see. Remember this. You have to writer crappy work before you can start doing good and excellent work. That’s why there’s these wonderful things called editing and rough drafts. But the first thing you have to do is put it on paper. NB: What projects can we expect from you in the future? SM: I’m the process of getting a treatment together for a short film that some friends and I will be trying to send to a film festival. I also want to do some writing for television, but my heart is in the literary world. NB: What do you believe contributes to making a writer successful? SM: Being very attentive to everything going on around you. Some like to say they are on the outside looking in or on the inside looking out. I like to say you need to be on the inside looking all around and remembering everything. The gold is in the details. NB: What do you do to unwind and relax? SM: I like to watch movies, go to concerts and festivals, read, exercise and sometimes have a drink and think. More than anything, I love to travel around the country and the world and immerse myself in other cultures. I seem to be at peace amongst a lot of confusion, as long as I’m anonymous. Where can readers find you? Where can readers purchase your books? My novel, Dinner Thieves, can be found on Amazon.com as well as BarnesandNoble.com. I should have everything situated for the Apple Store by the weekend but no later than next week. Way back on Sunday, September 22nd I attended the Brooklyn Book Festival. My daughter wasn’t even 8 weeks old and I was given my very first afternoon “off” to attend two lectures at the Festival. Please Note: To shorten this post (a bit) I have broken it up. Part one will share what Bridget and Sarah discussed. Part two will share what Rich Kelley discussed (really good stuff!!). So keep your eyes out for this post next week Wednesday! Why are you publishing? Who is the audience of my book? When writing about your book and describing it to others, you should not compare your book to the number one bestseller in your category. Look at other authors of your genre &/or style. Aim for the not so lofty so that your hubris does not showcase your novice status. Once these things are defined, the next big hurdle is ensuring you use meta data which are the key words in your title, subtitle and description. This will be how you book will be discovered by using the right words that will appeal to your target audience. Bridget then invited Sarah Russo, a publicist, to take the floor and share her perspective. Sarah shared with us that Getting work published prior to your full-length novel being finished/published is a great way to build your platform and readership. If you happen to be a nonfiction writer writing about a specific genre (say, the environment) find websites such as Treehugger and begin speaking with them about your book. See if you can have your book on their site, speak at their events, etc. In essence, find an organization/group/company whose constituents/members/participants would be interested in the topic of your book. Yes, it involves research but you are searching ultimately for your READERS. What is it you are doing differently from other fiction writers? Why should readers read your work? Sarah stressed that the people you are contacting about furthering your work (publishers, publicists, editors, agents, writers, journalists, etc.) are people too! “Read the work of the people you contact! Read them. Google them. Find out about them.” Don’t just contact them to help you. Again, they are people too! If you’re interested in getting your book into the book club circuit your book needs to be printed in paperback form. Book signings at your local library is a great way of getting exposure for your book. Take a copy of your book to a librarian to see if that specific librarian is interested in reading your book. If so, work with that librarian to get a book signing at that branch. Be friendly! Develop a relationship with the librarian. Remember Sarah’s earlier advice — publishing is about developing relationships! Find mentors!! They will help you and edit you. A great piece of advice Sarah shared was to find a book model for your book. This is a book that is similar to yours in genre, target audience and content. 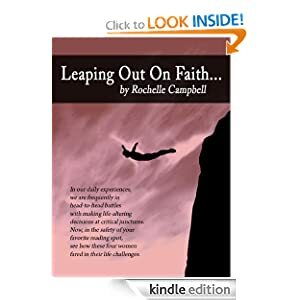 See how this book moves in the publishing world and how the author gained publicity/exposure for the book. Then, if possible, see if you can model your marketing/promotions in a similar manner. Psst…did you know that this month is Paranormal Month? Every day this month author Merissa McCain will be featuring a paranormal book on her blog! All of you paranormal fans hold on to your chairs! It’s going to be a rocky horror of a month! Here’s the first post from Merissa’s blog featuring Chris Redding’s Which Exit Angel. On Sunday, September 22nd, I attended the 2013 Brooklyn Book Festival (#WormsUnite). The main lecture I wanted to hear was called Creating Dangerously in a Dangerous World. The panelists were: Edwidge Danticat (Claire of the Sea Light), Courtney Angela Brkic (The First Rule of Swimming) and Dinaw Mengestu (How to Read Air). I was thrilled by the opportunity to hear and meet Ms. Danticat. I had read her work The Dew Breaker several years ago and found her voice poignant and powerful. I wanted to know hear her speak hoping she would share some secrets into how she was able to put such depth and insight into her work. One of the first things she said that struck me was when asked how does she handle survivor’s guilt. Her reply was, “Fictional [characters] are a great place to deposit guilt.” Danticat saw and experienced the ravages of war and violence in her home town of Port-au-Prince, Haiti. Danticat uses her unique perspective to create stories that simultaneously paint beautiful exotic tropical landscapes juxtaposed against extreme poverty. She describes characters that are complex in that they are both cruel and true to the experiences that created them. However, she does so with a deft hand that is neither accusatory or preachy. 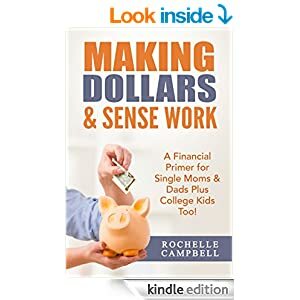 “The burden of parenting in ware zones…is laden with uncertainty…it’s laden with complexity.” She explained that parents have larger issues to focus on when there is a war happening. The children’s basic needs are met: food, shelter, clothing. However, the softness, the nurturing that is not necessarily given as the energy needed for survival takes the place of the niceties of parenting in a world not torn by violence, pain, suffering and war. Writing about Haiti and other cultures, Ms. Danticat exposes certain factual truths about the state of how things were at the time of her story. She spoke of how she received some criticism that the way she portrayed Haiti is not the real Haiti. She smiled and shared that she writes what is truth for her and does not sugarcoat things. Dinaw had a most interesting answer to this question of how people at home take his work. He said (and I paraphrase) that people often are relieved that these stories are being told. There there are always those that are skeptical of anything a writer writes. She must have thought me a stalker as I followed her everywhere. I was awestruck in my own nutty way. I asked for her email address to communicate with her when I joined the line downstairs after the lecture. I even took a picture with her. However, I think she was completely spooked by me. The email bounced back. No matter. I am still a Danticat fan. Her work is an inspiration even from afar. ruminations on writing, reading...and ghosts! How forever looks like, Will I ever know !